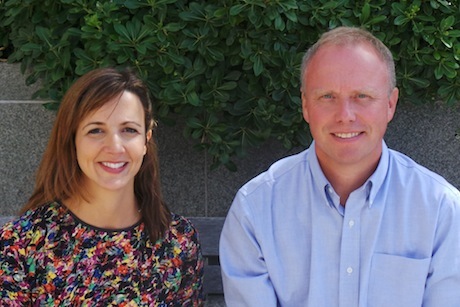 The former group MD of The Red Consultancy has joined forces with Porta Communications and a former colleague to launch a consumer PR-led agency called Thirteen. Andrew Baiden, who left Huntsworth-owned Red in March after 18 years, holds an initial majority stake in the agency, which he named after his lucky number. Porta, the AIM-listed communications group that owns corporate and financial PR agency Newgate, holds an initial 30 per cent stake, with an option to raise it to a majority stake after a number of years. Nina Otero, a former colleague of Baiden at Red, is also a shareholder after merging her PR business Nina Otero Associates, which has focused on consumer work, into Thirteen. She will focus on creative duties and consumer PR. Baiden said Thirteen would focus on services ‘rooted in consumer PR but extending into corporate and business to business’. Porta’s investment represents its first move into consumer PR since the group was founded in 2011. The transaction echoes Wright’s move to acquire The Red Consultancy in 2001 to expand the offering of the marcoms group he headed at the time, Incepta. Thirteen is close to bringing on board another individual as a working partner, though Baiden is not yet ready to name the person. He is keen to expand Thirteen into other countries and Porta has offices in Hong Kong, Singapore, Brussels and Australia. The agency has launched with five clients including fashion comparison website Skadoosh, toys and baby products business Hippychick and football app developer Sports Fans Network. It is based in Porta’s London Bridge offices. Thirteen is offering flexible working practices to attract senior talent and a graduate programme Baiden said was ‘designed to allow people into what is often seen as a "closed door" trade’.